I am a 59 year old man who was diagnosed with diverticulitis five years ago. That was the first time I was put on Cipro for about a week and that took care of my condition at the time. Four years later, last December I had the same symptoms and called my surgeon and he called in the Cipro prescription to the pharmacy and my problem was taken care of. I had to take the medication for about 6 days. Four months later I had the same symptoms and the situation was remedied the same way. I am generally in good health, work out 4 to 5 times a week, run and play tennis. Shortly after my third bout with diverticulitis in May 2011, I was playing tennis and discovered sudden heel pain. Since I had never had this problem before, I iced it and continued playing until someone suggested that I may have heel spurs or plantar fasciitis. Cipro can have on the tendons. I am upset thinking Ciprofloxacin has caused this problem and more concerned not knowing what I should do if I am confronted with another bout with diverticulitis. Is there a safer medication for diverticulitis that has no side effects? If Cipro is the root cause of my current problem, what is the remedy? It doesn't sound as though you have Levaquin Tendonitis, although it's possible. Usually Ciprofloxacin Side Effects are not as localized as that and if they are, they are most likely an Achilles Tendon problem. Again, it's POSSIBLE but I think that it's less likely than just being plain old Plantar Fasciitis. You can take a look at my partner's website to his Plantar Fasciitis page. HOWEVER, you SHOULD stop taking Cipro and as to whether there is safer medicine for it, I don't know. I would prefer to eliminate my diverticulitis rather than find a safer medicine, but that's up to you. It's interesting that you state that you are 'healthy' because well.... you have diverticulitis! That's not very healthy to me! And the almost certain cause of diverticulitis is Gluten Sensitivity and other food sensitivities, use of vegetable oils, not getting enough 'good' fats in your diet, too many processed foods, etc. As far as I can see, you are absolutely NOT healthy and you need to DRASTICALLY DRASTICALLY change your diet! But take a look at The Tendonitis Expert's pages and follow his instructions there. 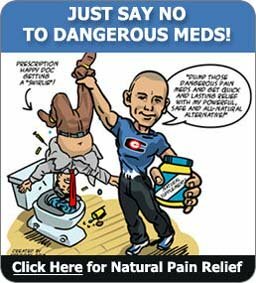 If you purchase his book, The Plantar Fasciitis Treatment That Works and you find that you think that it really is Levaquin Tendonitis and not really plantar fasciitis, then write me and I'll send you The Levaquin Tendonitis Solution at no charge..
About 12 years ago I had a similar experience at age 48. Due to exposure to cold weather I developed an acute lung infection with high fever. After taking the antibiotic and recovering in 5-6 days, I have never been the same again - both my heels developed excrutiating pain and I have been after a cure for so many years. I was told I had heel spurs (which never bothered me before). Also both my ankles have become very weak so that they get sprained very very easily. No amount of physio, stretching or exercising has helped. I have visited just about every kind of practioner for this problem but without much success. Well, I will be in the mainstream with above persons stating that after two months of taking active dozes of ciprofloxacn, i have the solid case of a heel spur. One day I woke up to an excruciating pain, could not step on my foot. Out of the blue? Not! I also have some sensitivity to gluten, and cipro was prescribed for colon issues, too much bloating and gas production. Not sure what to do any more. It is important that your MD give you an ULTRASOUND scan of your Achilles. This can see the damage. My Cipro damage is being cared for by a sports medicine doctor and this is the test she ordered. Her office cares for pro athletes (Blue Jays, Raptors, Maple Leafs) here in Toronto. NB I am not a nurse, but I did spend 4 years in a nursing baccalaureate degree program. I took Levofloxacin 500mg for 2 days and then I stopped it. I woke up in the morning and I couldn't walk well! I have a bilater plantar fasciitis and I havent had this problem before! I'm very young. I am 22 yrs old. I am on Cipro for diverticulitis. This is my 3rd bout in about 8 years. 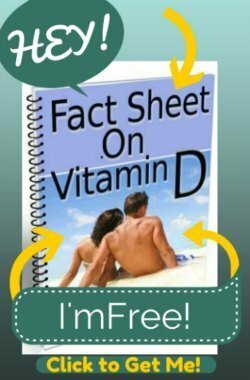 I am gluten free due to celiac disease. I woke up with severe heel pain. I haven't be active at all due to being sick so of course it is due to the Cipro. I am headed to the doctor to try to switch to something else. My nephew ended up in a scooter due to plantar fasciitis, a side effect from antibiotics. Does the pain in the heel go away. If so how long. Heel spur? Or Just Heel Pain? So, some of the comments are confusing heel PAIN that may be tendonitis or even tendon rupture, with the OP's problem of a heel SPUR. A heel SPUR is a bony spur that develops from excess calcium deposits on the heel. That is not something that occurs over a 2 week period, but over a long period of time. The Fluoroquinolones can CONTRIBUTE to a heel spur by chelating (taking out of the body) magnesium. But diverticulitis, IBS, and other bowel conditions also decrease absorption of magnesium. And being an athlete decreases magnesium levels too. Magnesium is what puts calcium into the bones, where it belongs, instead of allowing it to be deposited to create calcifications such as heel spurs. The fluoroquinolones absolutely can cause tendon damage, Tendonitis from the Fluoroquinolones, and even tendon rupture, and those things can and do occur even hours after the intake of the antibiotics, however, a heel spur takes months to years to develop. That is why I don't believe his heel spur is a direct result of the Fluoroquinolones, except, perhaps, it's tendency to lower magnesium levels. But those waking up with pain, that is almost certainly due to the tendon damaging effects of the fluoroquinolones and it's propensity to cause tendonitis. But you don't simply wake up with a heel spur one day. It may suddenly begin to cause you PAIN, but heel spurs take months and years to develop. 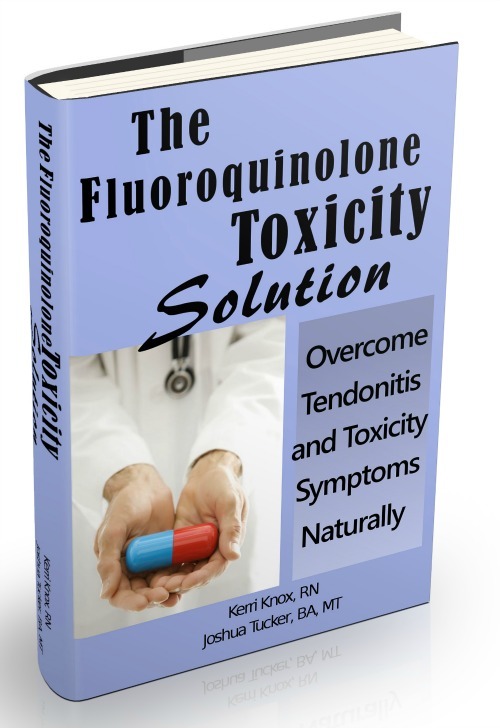 Following the protocol in the book The Fluoroquinolone Toxicity Solution is your best chance to reduce or eliminate the pain from this tendonitis caused by the Fluoroquinolones.